This fully updated & move-in ready home has 4 bedrooms, 2 full baths with a split bedroom floorplan, a long brick paver driveway w/ carport & large fenced backyard w/ storage shed. This home was completely renovated in 2015 with a New Roof, A/C, Water Heater, kitchen & baths, & updated electric. Enjoy the open floorplan with lots of windows, 8” baseboards, beautiful wide plank wood floors throughout, & tile in the kitchen & bathrooms. Enjoy cooking & entertaining in your light & bright kitchen with stainless appliances, granite counters, tile backsplash, under cabinet lighting, new cabinets w/ soft close drawers, custom pull outs inside cabinets, & breakfast bar that overlooks the spacious family room. The dining room is conveniently located off the kitchen & is great for entertaining. The huge owner’s suite has plenty of room for a king size bed, walk-in closet, & an attached bath that boasts a new vanity, large medicine cabinet & walk-in shower. The split bedroom floor plan features 2 bedrooms & hall bath on one side & the owners suite & 4th bedroom on the other. The secondary bedrooms are spacious & there is tons of storage space throughout! Relax with a cup of coffee on your charming front porch. 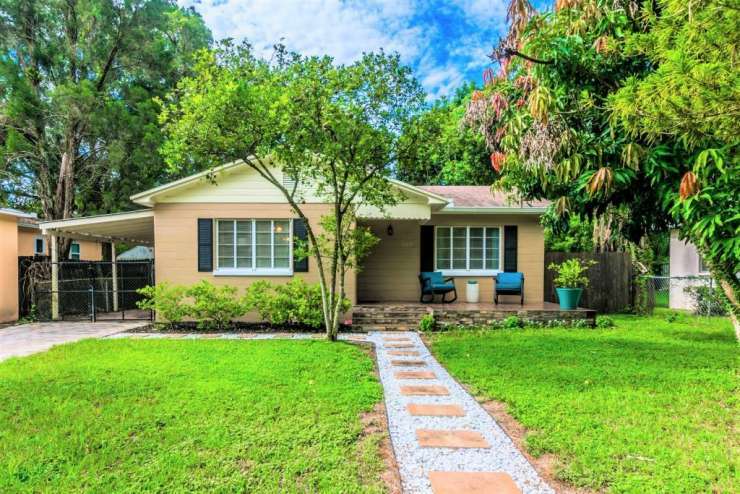 Located in the Seminole Heights area w/ a quick commute to Downtown, airport, USF, shops & restaurants. Convenient to tons of local restaurants including Ella’s, Southern Brewing & Winery, The Independent, Mermaid Tavern, Rooster & the Till, Ichicoro Ramen, The Front Porch, Jet City, Blind Tiger Café & more!